At Smith Steelworks, we design and manufacture custom business signs for your company. Our team is capable of integrating your business logo into the sign design. We also provide custom powder coated options for a bold finish. The business signs are available for indoor or outdoor installations. 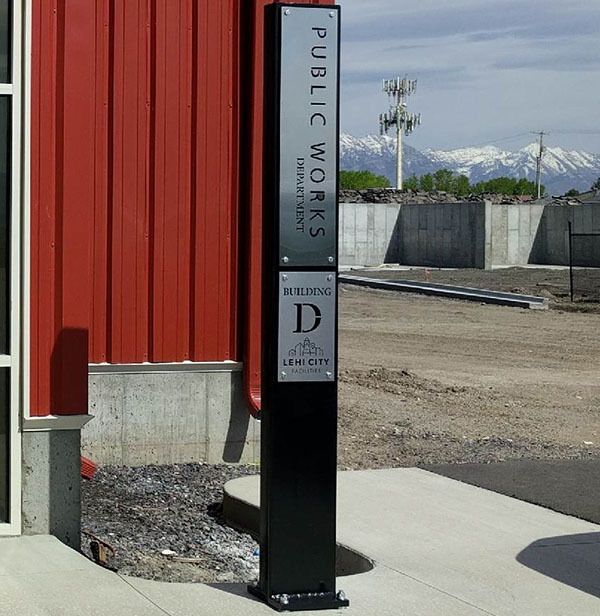 Give us a call today at (801) 414-1724 to get started with your custom business sign. We will work with you from the initial design to the finished product. 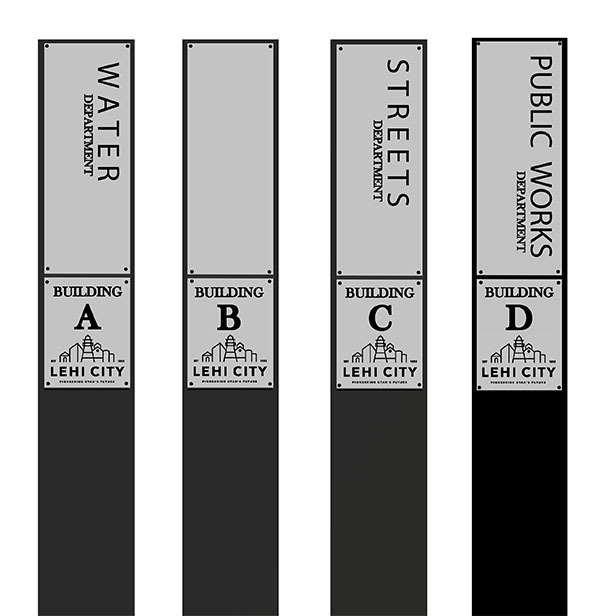 Below is an example of how we created the Lehi City Signs. Your business logo, inscriptions, measurements, and other sign ideas are incorporated into a sign proof. It will be emailed to you for final approval before we begin the laser cutting process. 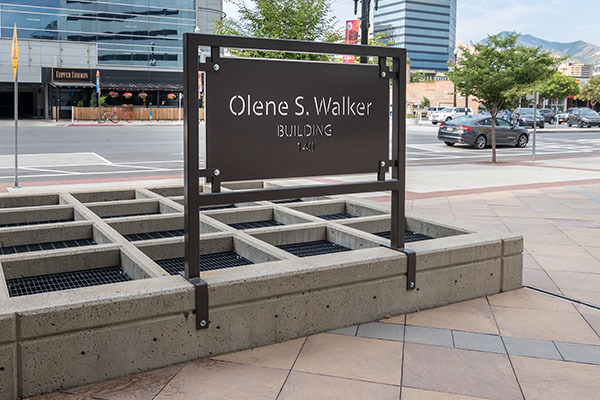 The custom business sign is then laser cut from a single sheet of metal. We offer stainless steel and powder coated options. The business sign is then packaged up and shipped to you. 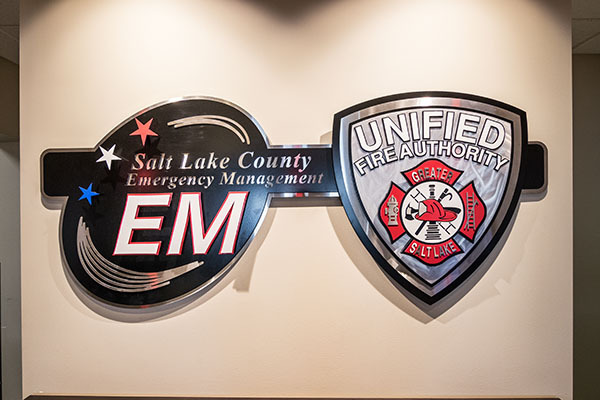 Our custom signs add a beautiful finish to your office. Our design team incorporates the company logo, colors, and more. 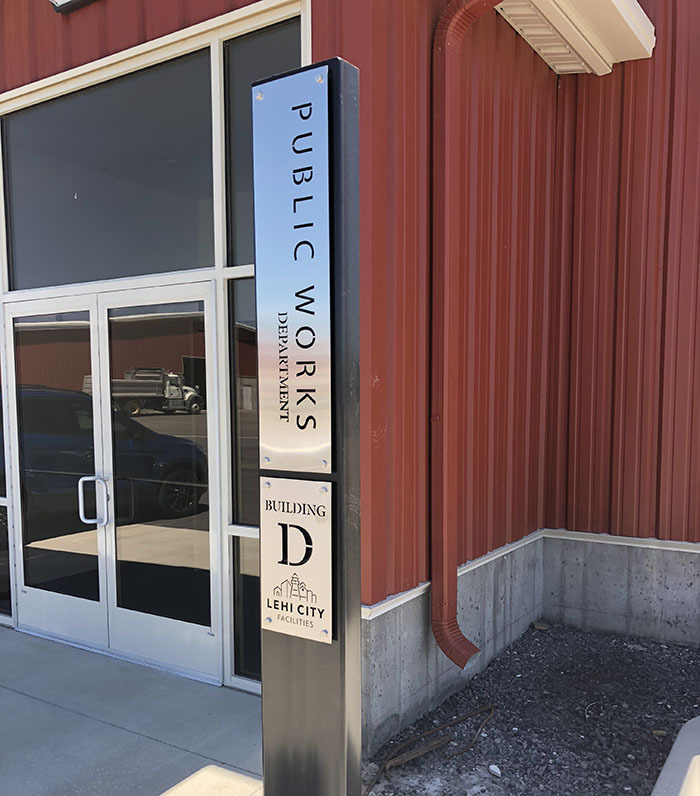 Powder coat, stainless steel, blackened patina, and rust are all popular office sign finishes. 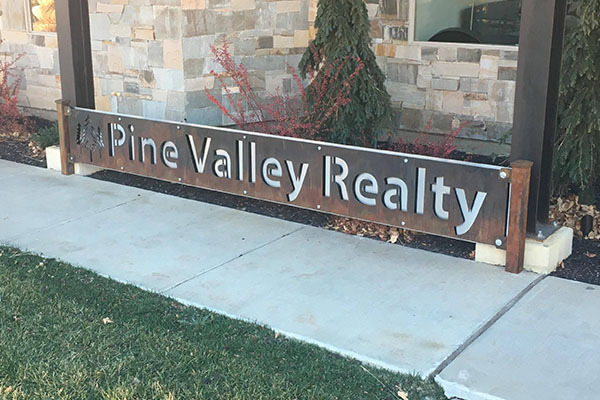 A Realty Sign gives your client the first taste of your business style. The rustic sign is one of our most popular outdoor sign finishes. The Dedicatory Signs are a beautiful way to remember an individual, event, or more. Powder coating keeps the sign free from rust and corrosion.